Islamic State insurgents have seized al-Tanf, the last Syrian government-controlled border crossing between Syria and Iraq, after government forces withdrew from the area, BBC reported. The loss of al-Tanf, known as al-Waleed in Iraq, enables ISIL to link up its positions in east-central Syria more directly with the ground they hold in western Anbar in Iraq. Meanwhile inside Iraq, ISIL forces reportedly were pressing eastward from Ramadi down the Euphrates toward Habbaniya where Shia militias and some Sunni tribes are massing for a proposed counterattack on Ramadi. ISIL overran Iraqi government defensive line in Husaiba, east of Ramadi, earlier today. 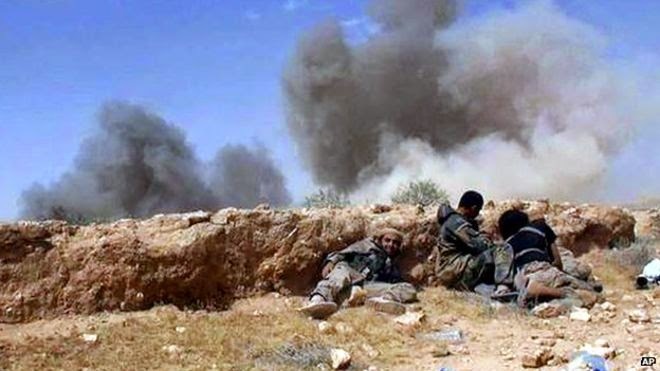 Ramadi fell to the insurgents on Sunday. 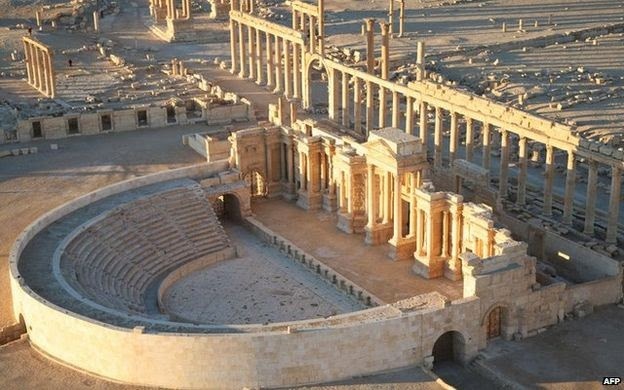 Back in Syria, ISIL consolidated its hold over the city of Palmyra on Thursday and have now entered the UNESCO World Heritage site of Palmyra and its ancient ruins. Its possible destruction in the hands of the militants will be “an enormous loss to humanity,” UNESCO said today. ISIL is now in control of the city’s airport, infamous prison, and intelligence HQ, the Syrian Observatory reported from Palmyra. The city lies on a strategic route through the desert. A great deal of the Iranian supplies came through the air force base near Palmyra. Its loss constitutes a major impact on the anti-IS coalition's war effort. What I like to know is,what type of metal are those ISIL/ISIS Toyota pickup trucks made of? Because every time they meet the Iraqi M1 tanks the Iraqi army is running away! I thought Palmyra was in Syria friends. Therefore most likely had been defended by russian origin tanks! I think you may want to banter at the Ramadi stories. Its about the changing role and limitations of armor. With so many anti tank guided weapons in the hands of formations of infantry who know how to move, and understand terrain, the tank, of what ever origin, is showing its limits as a defensive weapon. The tank needs, and was designed to move quickly and bring great firepower to an important point on a battlefield. That in itself demands a conventional battle. Neither Lebanon 2006 or Syria or Iraq are that. And we have truly seen the limitations of many of the best tanks available on the world market.